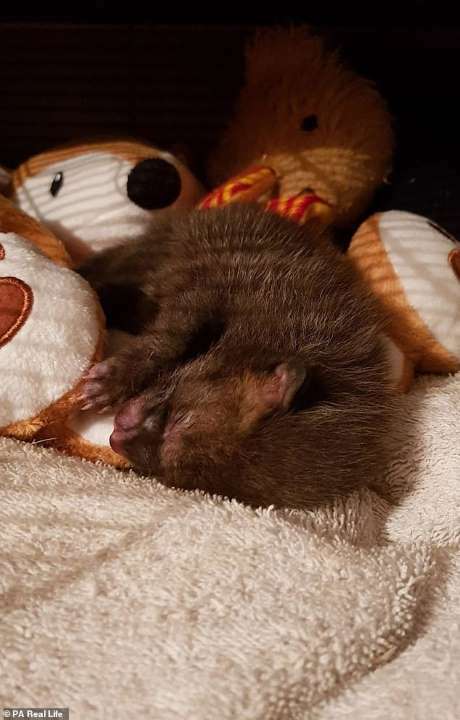 When Gemma Holdway and her family found newborn fox cubs in the hay on their farm, they were worried when mom failed to return. The two-day-old cubs were at risk without their mother to provide for them and protect them. So the Holdway family took them in to hand over to an animal hospital. The intention was to release the fox cubs back into the wild once they were big enough to fend for themselves. However, fate had other plans for the runt of the litter. 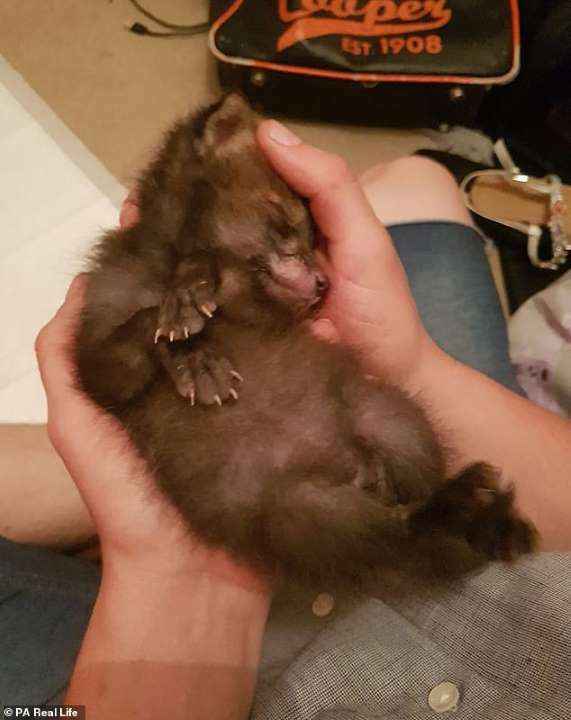 The female cub, also known as a vixen, ended up imprinting onto Gemma and her boyfriend. As the little cub was so dependent on them, they decided to adopt her and hand-rear her themselves. Imprinting is a critical time of an animal’s life when they form attachments. 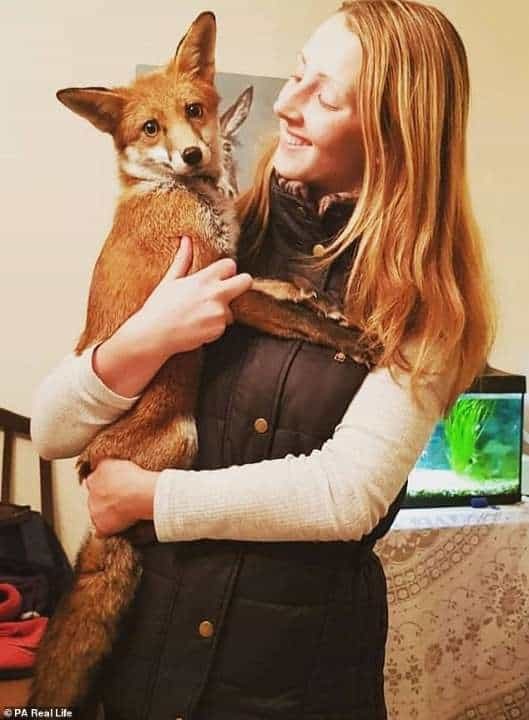 Now that the young vixen had imprinted onto humans, she may end up hurt if she went off into the wild on her own. 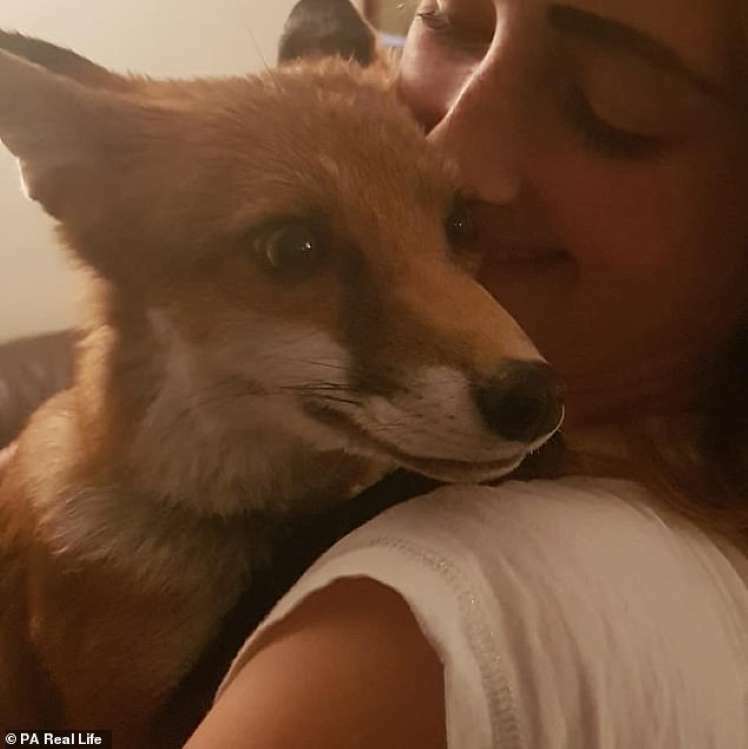 Other wild foxes may smell humans on her and attack her as a result. Foxes are shockers for imprinting. None of us realized at the time, as it happened so quickly, but once they open their eyes, that’s it. Whoever they see first is mum. Three have now been released back into the wild and one is also domesticated like Vixey. Gemma is an Animal Science and Management student, so she is the perfect person for the job of raising a fox. She feeds, bathes and walks the fox, whom she lovingly named Vixey. But Vixey isn’t the only pet that Gemma has. She also has four dogs, Labrador Luna and Jack Russells Raisin, Nidge and Polar Bear. Vixey has become a solid member of the pack. “She [Vixey] is definitely a dog at heart,” Gemma says. Vixey has especially struck up a close friendship with Labrador Luna. Although it wasn’t ‘love at first sight’ for Luna. Luna, in particular, was very wary at first. 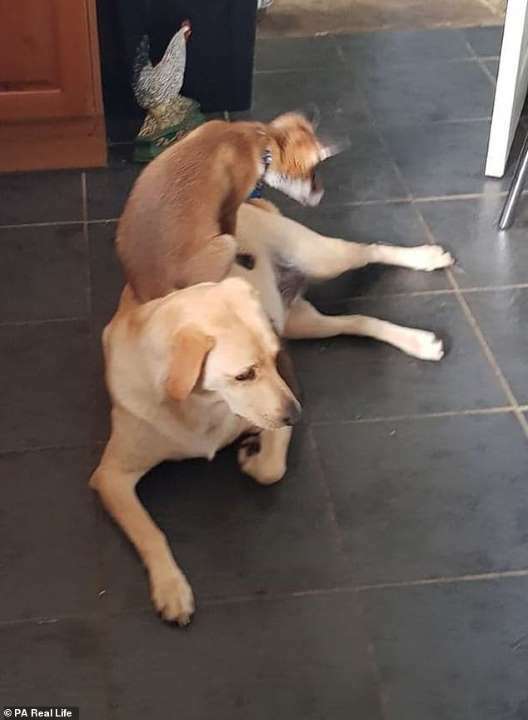 She didn’t quite know what Vixey was and was unsure when she’d try to play with her. Now they absolutely love each other. They’re the very best of friends. Vixey follows the dogs everywhere, copying what they do. Raisin rules the roost, so has almost taken on the role of Vixey’s mum. Now they play together every day and clearly love each other. 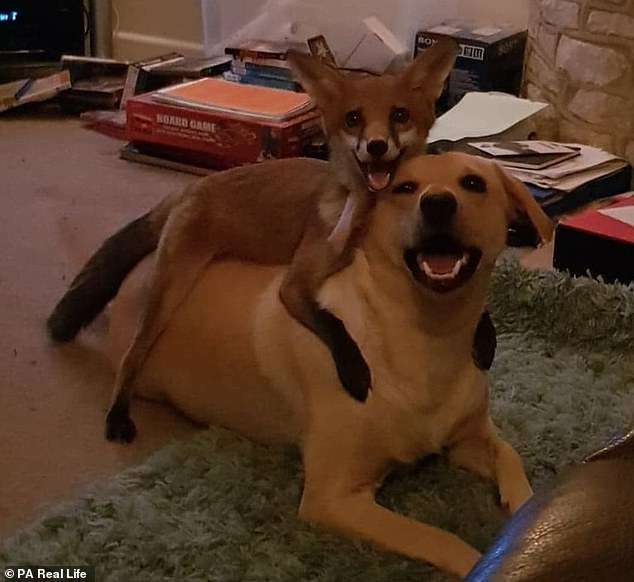 They are just like a real-life Fox and the Hound. 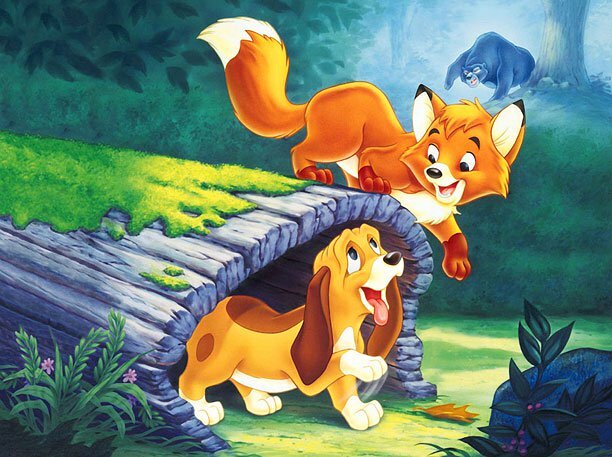 In the 1981 Disney film, a young fox is adopted by a kind farmer named Widow Tweed. 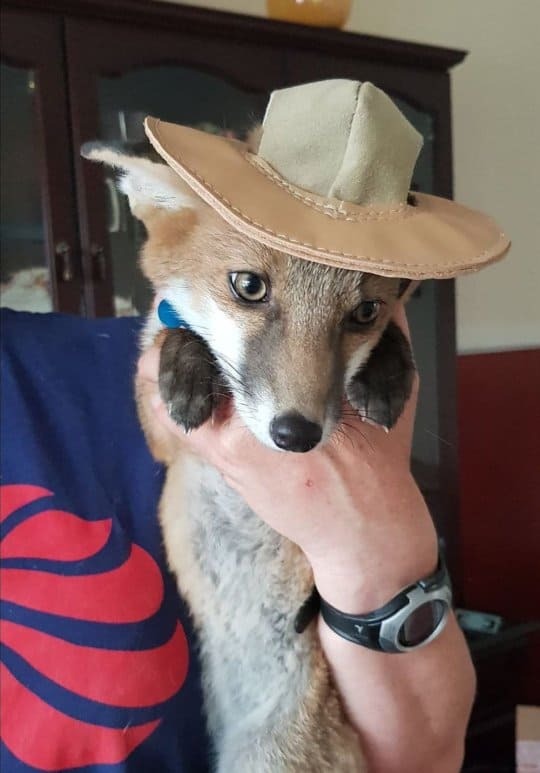 She names the fox Tod due to his toddler-like cuteness. Her neighbor has a young hound puppy called Copper. Tod and Copper meet and vow to be ‘friends forever’. And it seems like Vixey and Luna have made the same vow. The family respect that Vixey is still a wild animal so she is given free roam of their land. The family has acres of land that she can freely run around, so she enjoys a nice, laid-back lifestyle. Every day, Vixey goes out exploring before making her way home before dark. The land is ‘fox-proofed’ so that she can’t escape and predators can’t get in. She always makes her way home before dark. She’s very intelligent and can remember where she lives. She’ll then come into sleep for the night. She either sleeps on my bed or under the sofa. She is also completely house-trained, and either goes to the toilet outside, or in a litter tray. We have learned the hard way not to leave any shoes lying around though, as, for some reason, she sees them as toilets, so wees in them. Just like her dog friends, Vixey runs to the door to greet her human companions every time they come home. But she is a bit shyer when it comes to strangers. She chooses to run off and hide until she trusts someone. When Gemma’s dad found the cubs out in the barn, they checked CCTV for any signs of if mom came back. But she never did. The farm was close to a busy road so they worried that she may have been run over. 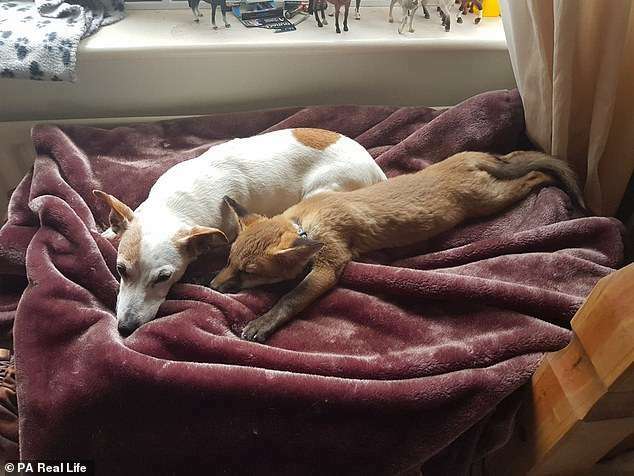 As much as the family loves Vixey, they are careful to advise others not to get foxes as pets. They are highly demanding and aren’t suited for a typical domestic environment. 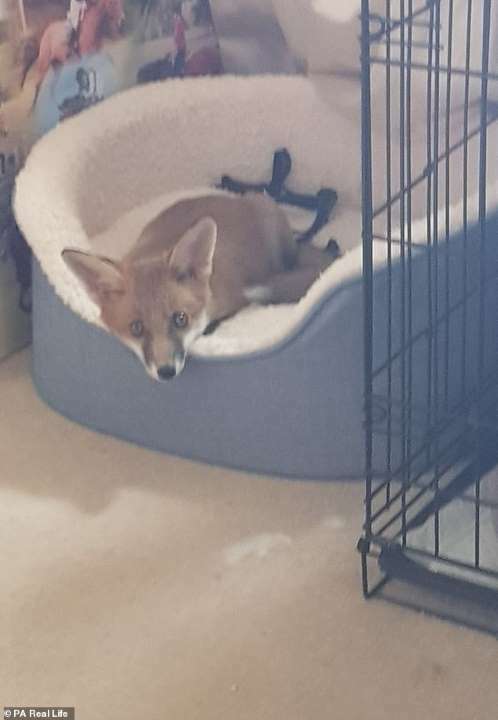 Vixey’s situation is very unique due to her rescue and the fact she imprinted on the family very early in her life. It would have been great to release her, but it was simply too dangerous. She has a lovely life with us. Anybody who meets Vixey can see how happy she is and how much she loves her family. Humans and dogs alike. Raisin the Jack Russell rules the roost and has almost taken on the role of Vixey’s mom.